If you know a person who loves wine and exploring New York City, here’s a gift idea that might cater to their palette. Recently, City Wine Tours reached out to me about their two tour offerings in West Village and SoHo. Each walking tour is led by a wine ambassador, who takes attendees to two high-end restaurants in each respective neighborhood for sit-down tastings of pre-selected wines and appetizer pairings. After sampling various pre-chosen bottles, the group goes on to a wine store for a 101 lesson on buying wine. 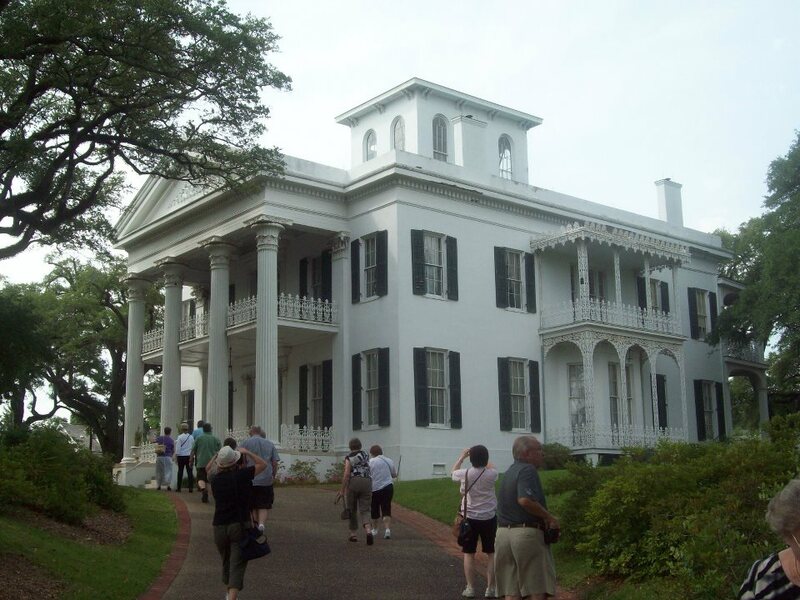 The tours run on Saturday and Sunday afternoons and usually max out at about 10 attendees. City Wine Tours has also created a special discount code that gives you a nice incentive that you raise a glass to (or even treat yourself to). Apply the code MicheleNY10 for $10 off a CWT gift card or ticket now through December 31, 2016 upon booking. You can book directly through their website. City Wine Tours also offers similar tours in Boston, but this promotion is for Manhattan tours only. Editor’s Note: I have a business agreement with City Wine Tours, where I would receive payment for confirmed bookings. Also, I’m always on the lookout for new places and resources for expanding my wine knowledge. This entry was posted in Accessories, Group Tours and tagged City Wine Tours, Manhattan tours, wine tours in NYC on December 9, 2016 by She Is Going Places. 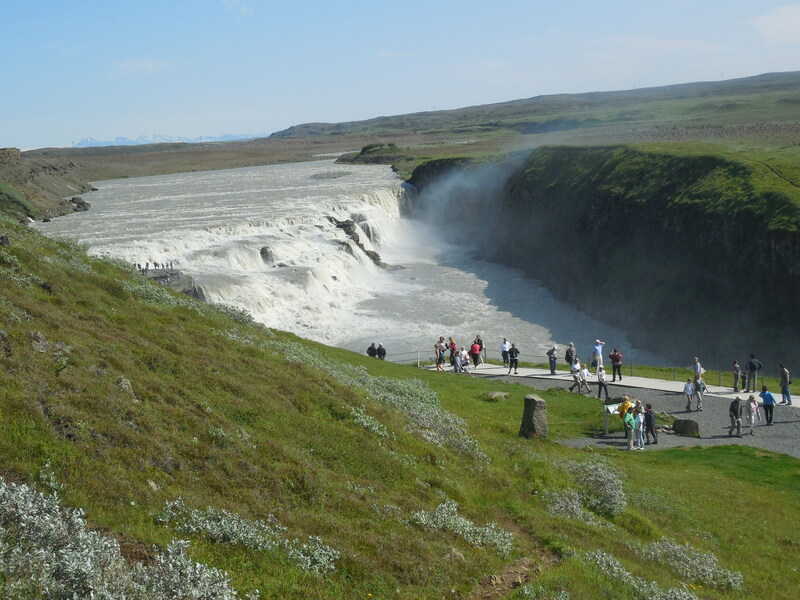 Going on a guided or escorted tour can be a good thing. If you need a confident boost about being alone abroad or nervous about handling your airfare or other arrangements, a guided tour can help you feel a bit more at ease while getting you closer to seeing your destination. 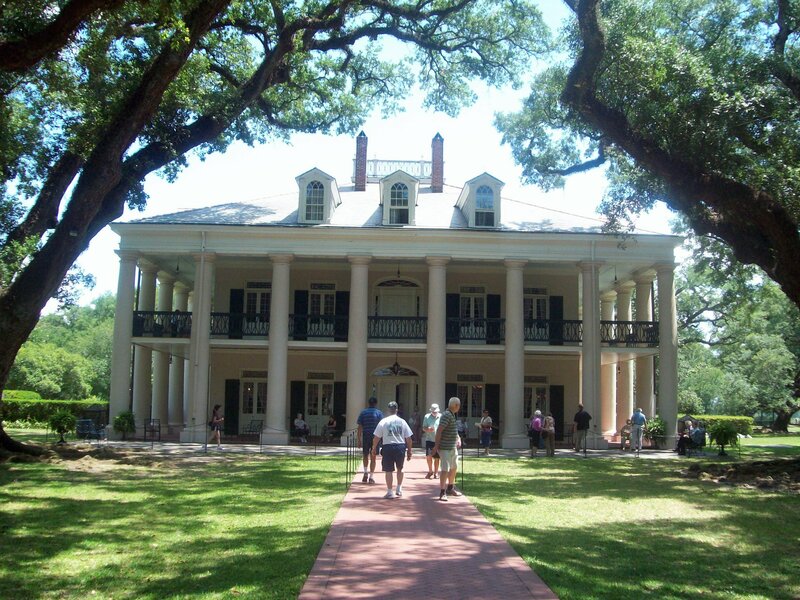 While many tours often include stops at major attractions in the country you’ve heading to, these companies can differ in many ways. Based on my experiences with them, here is my advice on what to keep in mind while choosing a tour company. Group tours can have quite a mix of travelers in age and background: older, younger, couples, families and solo. Depending on how you feel or your approach to travel, and if it makes you feel better about fitting in, check out what types of travelers often go on the tour company you might be interested in. For example, Contiki is more ideal for college-age/twenty somethings while Trafalgar often attracts retirees and many from the UK and Australia as well as the U.S. Tour companies also center on different travel styles. G Adventures is suited to outdoor types and offers locally-owned accommodations and physical activities. More general tour companies like Gate1Travel cover key points and often have a broad spectrum of customers. A planned out itinerary can be nice but pay attention to what’s included – and particularly what’s not. 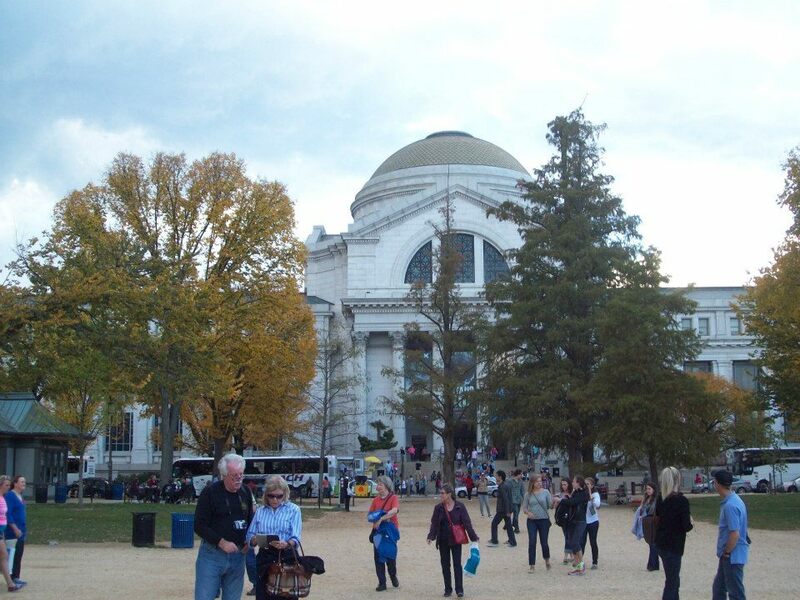 Tours may cover brief visits to major museums and monuments (perhaps hour-two hours) where you have to make quick choices about what to see. Or just a quick stop for a photo opp. Some areas may be seen only through your tour bus window, often while in route from one location to another. I often go with tours that include a reasonable amount of free time. It’s good because you can check out maybe a place not included on your schedule. In the case of a change of plans or have some solo time, you still have the opportunity to see something quickly. Like No. 2, see about the schedule. As common as tours are to stop at must-see attractions, it’s also important to look at overall what’s included on your itinerary. I get leery of tours that seem to push places where there is a lot of shopping to do but some people might like that. It might be good to first read up on the destination you’re looking at going first, and then do a comparison against the itinerary of a tour company you’re interested. Also, some tours will make stops and/or stays all at major cities in Italy but maybe one or two might also include time in a town like San Gimignano – which is beautiful – that is along your route. Tours are now offering a lot of optional side choices or experiential activities. While you don’t have to necessarily do all of them, see which ones stand out to you. I like doing ones that seem to replicate the area (like musical locations in Nashville) or may get you to a place that is off your route but definitely will get to (like a stop at a famous beach side hotel in Coronado, California). Also consider getting airfare through your tour company. Some offer this choice, others leave getting there entirely up to you. If I’m maybe traveling in the U.S. — where I live — I might be opted more to book my own fare if I find a lower rate. If you’re going overseas, and a bit nervous about getting from the airport to the hotel on your own, in most cases your tour company can take care of that transfer for you. Or you can book your airfare through them instead of having to do it yourself. From review sites like TripAdvisor to even Facebook, checking up on personal reviews can firm up your decision. Some may have had snags in their trip while others just have their own good things to say or general gripes about trips, but the more opinions you need can give you a better sense about what you might be getting into. Also, consider signing up for e-newsletters, as tour companies from time to time offer special discounts or price breaks. Some even may give you a discount for everything from early booking (six months in advance). Unfortunately, solo travelers can get stuck with a single person fee (due to hotel rooms) but some companies might have a room-sharing program where if you can be paired with another single passenger then that fee is waived. In all, enjoy your tour. 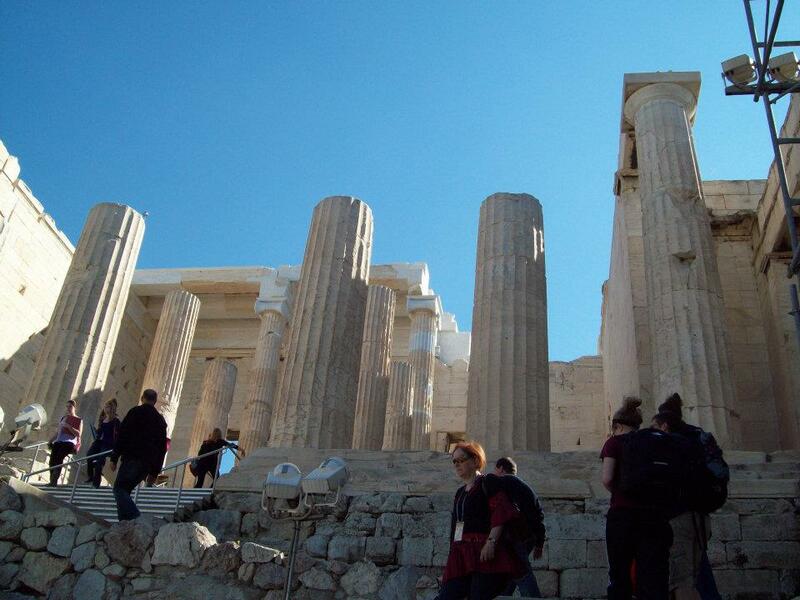 This entry was posted in Group Tours, Solo Travel, Women's Travel and tagged how to choose a tour, selecting a tour company on March 16, 2014 by She Is Going Places. On Tuesday night, I had the opportunity to visit The Explorers Club, an elite yet eye-opening venue in New York City that has been the headquarters for this organization of world explorers since 1904. Here, I got to meet and learn more about a different group of explorers, so to speak, that Kensington Tours has brought together to kick off its latest venture. For Kensington’s “Explorers-in-Residence” series, each explorer will serve as the main guides for specialty, small group tours whose itineraries mix in their expertise with once-in-a-lifetime experiences. 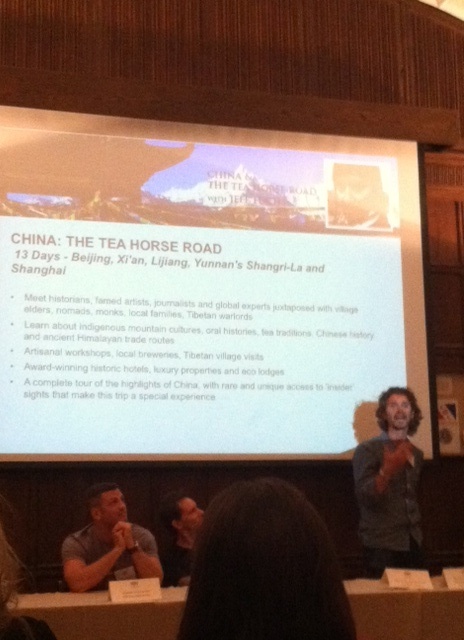 – Jeff Fuchs, an expert in indigenous mountain culture, will lead “China & The Tea Horse Road,” which follows the legendary Silk Road. Fuchs spent the last decade living in China. He will apply his expertise in having trekked this route, along with his research on oral histories and his fondness for tea. – Storm chaser and Discovery Channel host George Kourounis will direct “Iceland: Land of Ice, Fire, & Northern Lights,” an eight-day tour of country’s natural wonders. Nicknamed the “Modern Day Indiana Jones,” Kourounis will take guests along the Golden Circle and will top off his tour with a viewing of the Northern Lights. – Lee Abbamonte, who is the youngest American to visit every country on Earth, will be focusing on his other pursuit: sports. 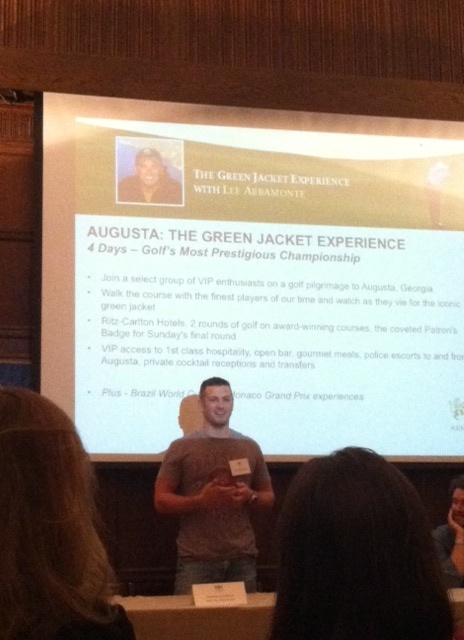 He will be leading a pilgrimage to Augusta for an up-close view at The Masters Golf Tournament. Other plans for him include jaunts to Brazil for the World Cup and to Monaco for the Grand Prix. In between chatting with these explorers, I walked around different floors — and, in a sense, the footsteps of past and present members — inside The Explorers Club. Being transported back to an era of high status and opulence, this Upper East Side townhouse is graced with fireplaces and other Victorian era furnishings. 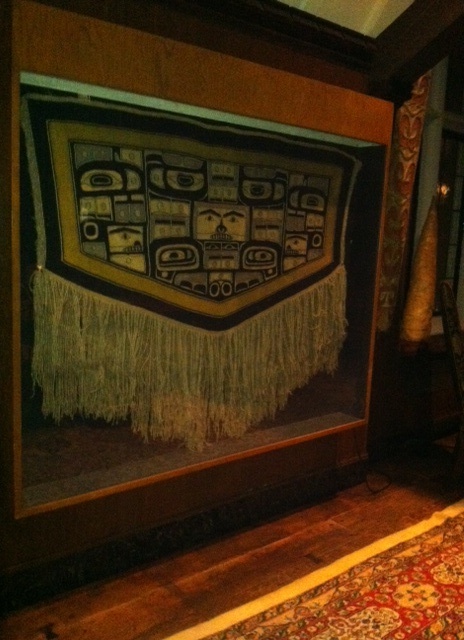 Objects used and artifacts found in once hard-to-reach destinations are all around, hung up on mantles and walls or stored in glass cases. 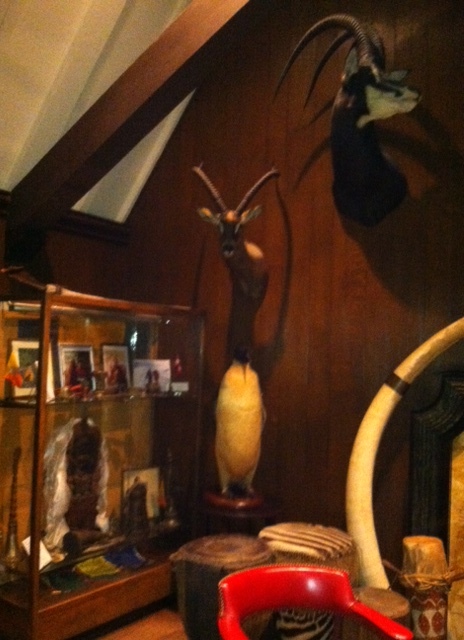 Feeling a bit adventurous myself, I headed up to the fifth floor to peak inside the Trophy Room, a members’ only area. Inside this room, other unique finds are stored. 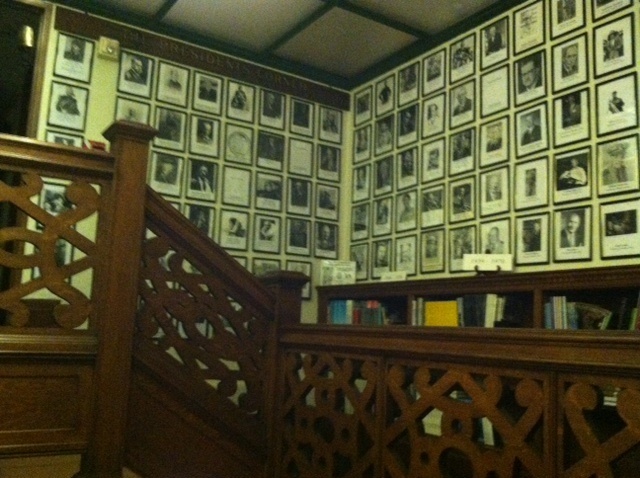 The floor’s hallway is a showplace of black and white photographs of explorer members, past and present. I recognized a few faces: astronauts John Glenn and Scott Carpenter, who recently passed away, and film director James Cameron. Downstairs, guests were able to have a taste of adventure. 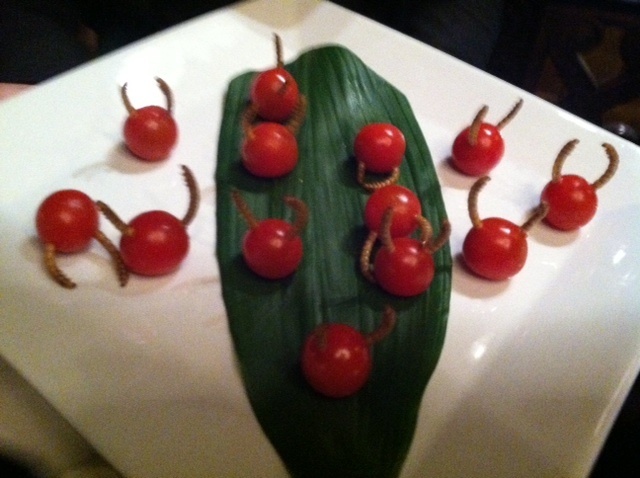 In what could be referred to as “edible exploration,” certain hors d’oeuvres featured a specific item that is eaten in certain parts of the world – insects! 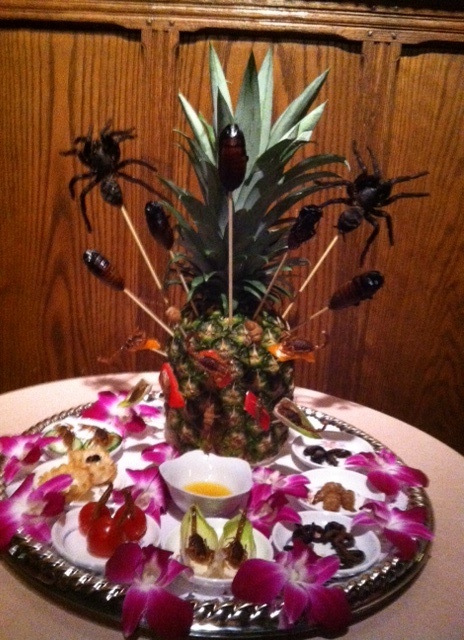 Choices were scorpions, mealworms and crickets served on crackers or endives. And a lovely second-level open patio offered a quiet space to sip on my drink and relax after what I had just tried. 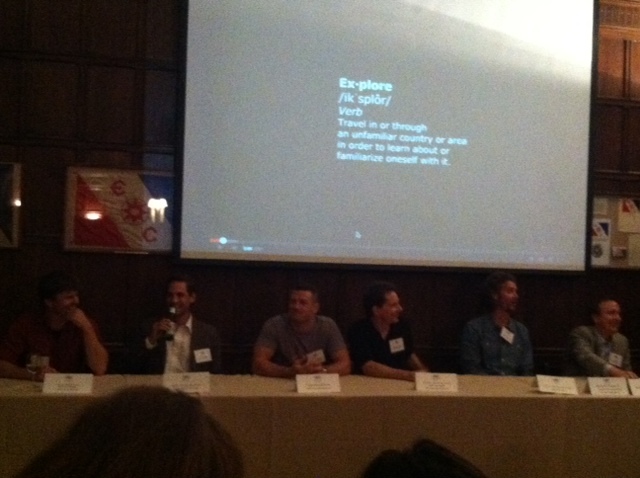 In all, the evening gave me a peek into an elite group of explorers, and the opportunity to meet those who still continue on today. This entry was posted in Culture, Group Tours, Kensington Tours, New York, New York City, Personal Interests, United States and tagged George Kourounis, Jeff Fuchs, Kensington Tours, Kensington Tours Explorers in Residence, Lee Abbamonte, The Explorers Club on October 17, 2013 by She Is Going Places.